Bike running a little rough? Gears not changing? flat tyre? brakes not slowing you down anymore? Bring it down to bike central for the quickest service and repair turn around at the cheapest rates available on the coast! With over 40 years experience in the industry, we can fix anything. From road to mountain bikes, beach cruisers to bmx, we can do it all. 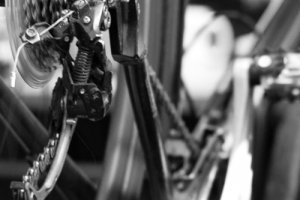 Basic repairs, full servicing, bike building, we will keep you cycling – no repair too big or small. In most cases, drop it off in the morning and it will be good to collect that afternoon! Call us today or drop in to our store and we will get your bike ready to ride. Prices do not include parts required for servicing or repairs. BICYCLE FREIGHT – WE CAN PACK AND SEND DIRECT TO YOUR DOOR! Have you found a bike that you like but live too far away to purchase in store? We can accept payment through our instore eftpos facilities over the phone and organise shipping direct to your door! Call or email us now for an instant quote. We can also pack and send nationally for customers leaving the coast, and pack for international travellers. Copyright © 2019 bike central.